Ever been to Big Bend? 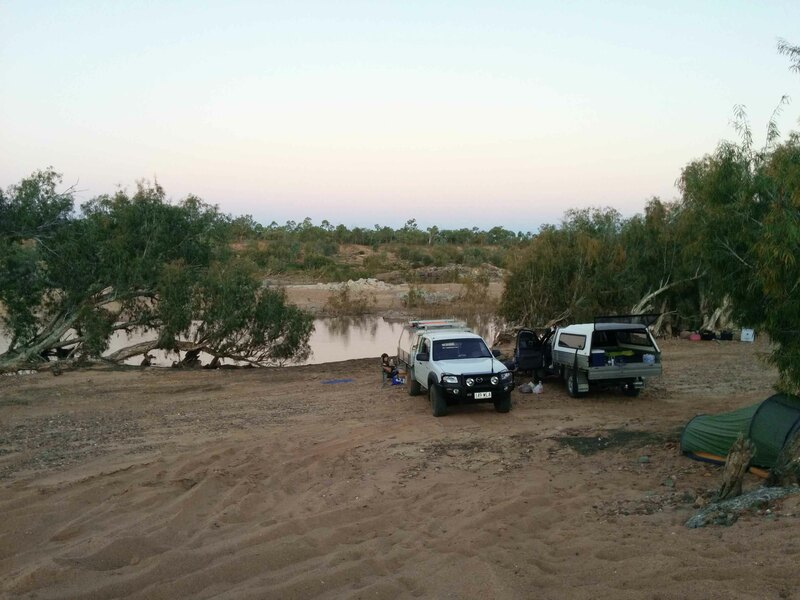 Its approx 5km before Fletcher Creek Reserve (near the entrance to Dalrymple National Park) and has better places to camp and fish than Fletchers and isn't packed full with grey nomads in the middle of the year. 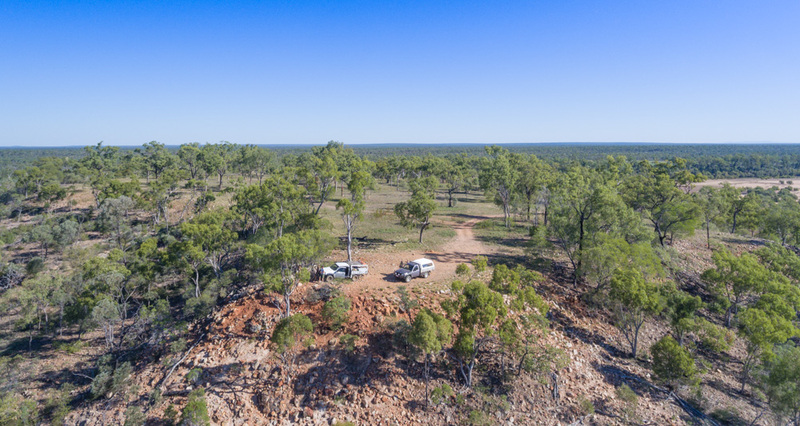 Nothing wrong with that except there will be limited camping spots between all of the vans and we prefer remote bush camp as much as possible. 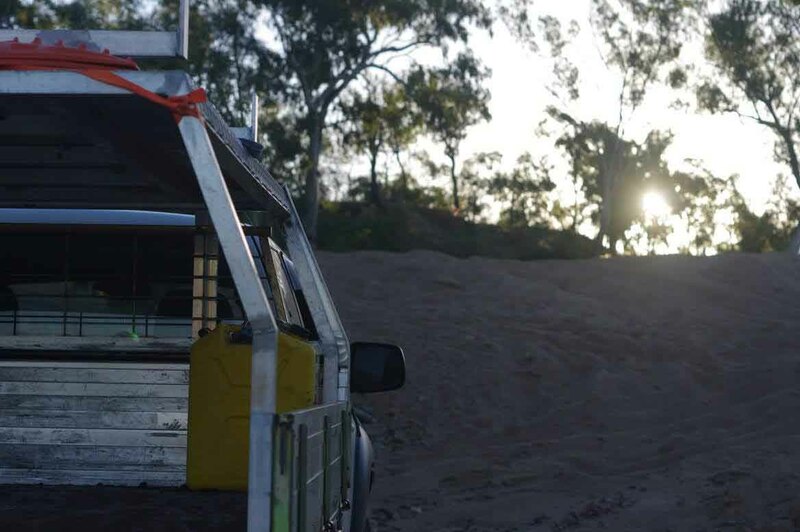 Big Bend is a popular 4WD full bush camping located right on the banks of the Burdekin River. There are numerous tracks around the area worth exploring. Some lead to other areas that would be great to camp as well. It's well worth a quick poke around before setting up camp. There are great fishing opportunities here as well whereas Fletcher doesn't. Big Bend also offers some nice 4WDing and great scenery if you go in a bit further along the tracks. Hardly "off the beaten track", making a weekend out of this location as difficult as you want to make it. From Charters Towers, follow the Gregory Development Road along the Burdekin River 30km North. You will see a small road sign on the right, when heading north. Hopefully you can read it through the bullet holes. Don't worry, that is as menacing as Big Bend gets. 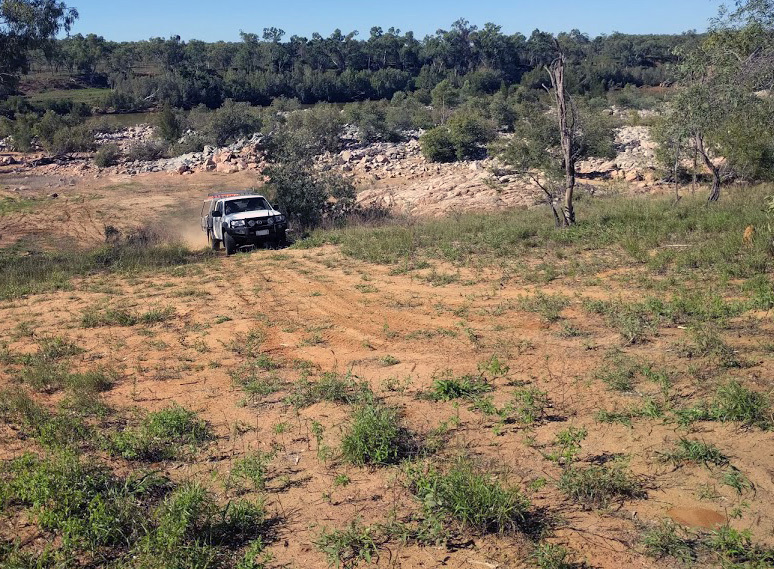 Although you don't need to use 4WD to get there, you do require a high clearance vehicle; though it's not far to walk from the Lynd Highway. A standard height ute will suffice without any issues although you will have to choose your line wisely. Camping spots along Fletcher Creek are frequented by large family groups. Camping is permitted with numerous opportunities for camping right on the water's edge, however there are no designated camping spots and no facilities. 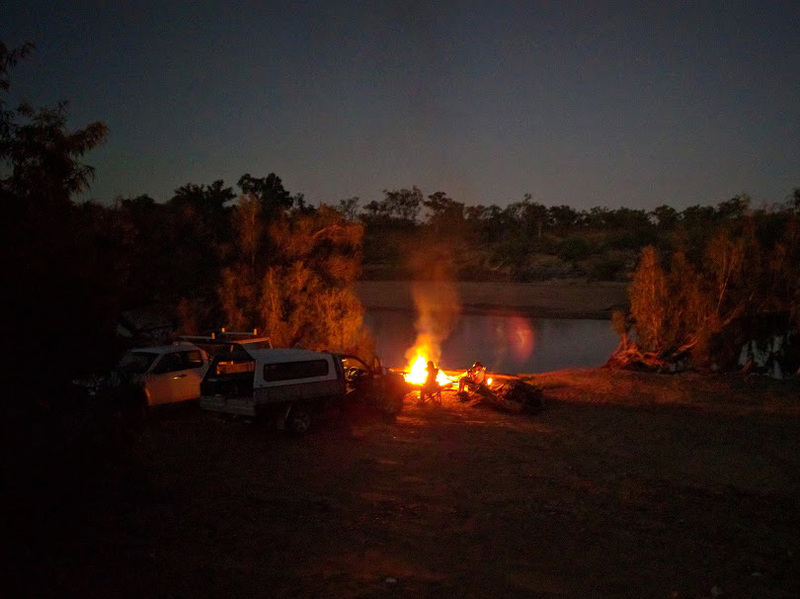 This bush campground is a magic spot if you are into self sufficient camping, have a high clearance vehicle or a 4WD and like to fish or relax reading a book. There are also a few tracks around to explore on your dirt bikes. It's not recommended to swim there as the Burdekin River is known to be infested with crocodiles, although most locals do go for a dip. There is a small creek crossing which can turn into a raging torrent after heavy rain. So take care after rain, as the road in can become blocked where you normally cross a small creek. There are some sandy sections and it can be a bit windy at times so 4WD is recommended. You could get a camper trailer in, however there are some tight bends and boggy sandy sections so use your discretion. Echo Hole, just on south east side of Big Bend, is also worth checking out. This area is known for it's extensive basalt formations as part of the Great Basalt Wall, a geological formation of the Toomba basalt flow from the last major volcanic activity in northern Australia and is part of a 120km lava flow. This is where the Burdekin River was diverted as lava edged into it, forming a concave cliff and swimming spot at Echo Hole billabong. 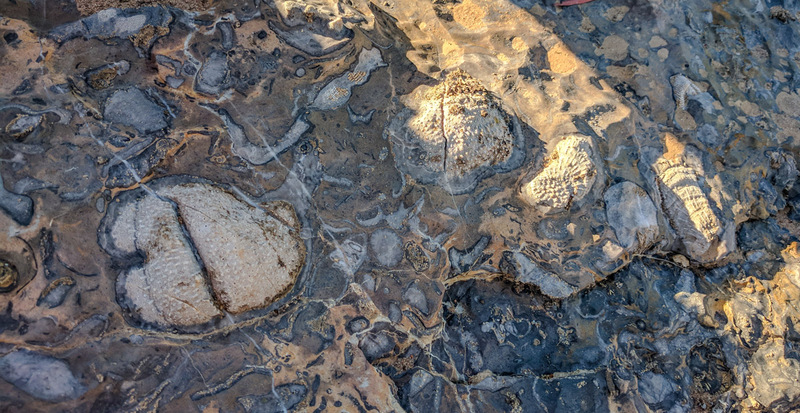 The flows covered an ancient coral reef and you can still pick out some shapes in the limestone rocks where the lava has worn away. You get an impression of what the region is like on the fringes of the wall, at Big Bend and Red Falls. Red Falls is in the Great Basalt Wall National Park, 40km along the Lynd Highway and then 44km west through a seasonal dirt track that crosses private property. It's no longer accessible to the public due to previous injuries sustained and lawsuits against the private landholder where the falls backup onto. 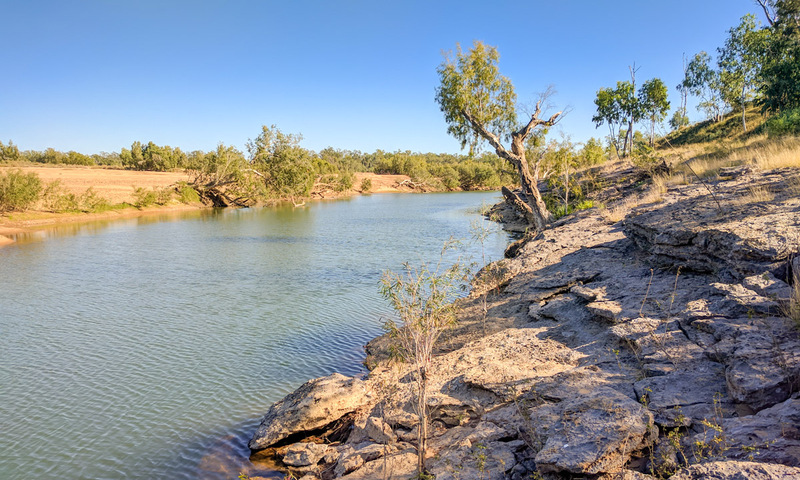 The river runs at right angles to the lava flow; water pours into an Olympic-sized swimming hole and then down a sandy creek bed lined with paperbark trees and overlooked by a bush campsite. Another 200m upstream is Silent Hole, another swimming hole. 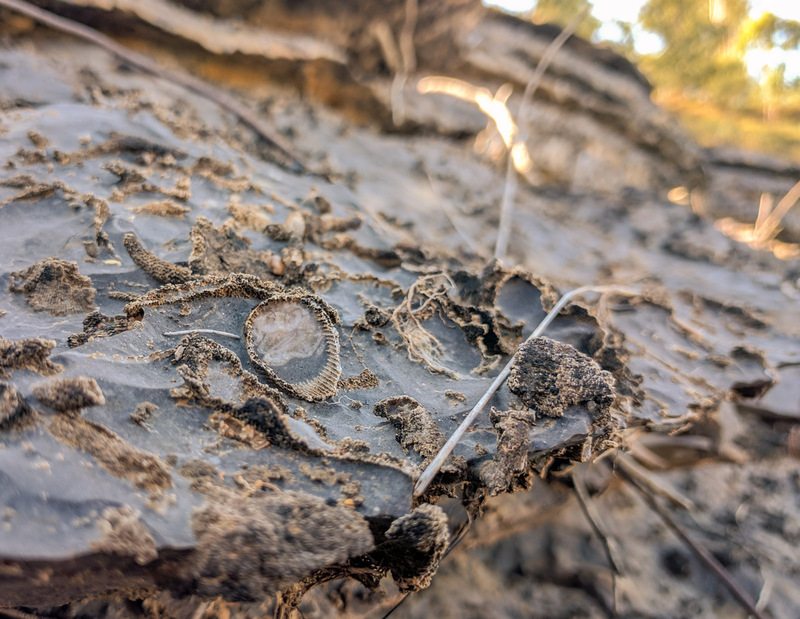 You'll see that the riverbed is pocked by the frozen impressions of burst bubbles where gases erupted through the solidifying rock. Be sure to stay up late to watch the beautiful night sky with virtually zero light pollution. If you are a keen astronomer or photographer, this is your dream! Catch some shooting stars, do some night sky photography, make a night sky timelapse video or just sit by the fire taking it all in! Beautiful night sky at #bigbend #charterstowers #australia #nightsky #milkyway #camping #nature. Another amazing place is Flat Rock which is also has about two kilometres frontage of the Burdekin River. 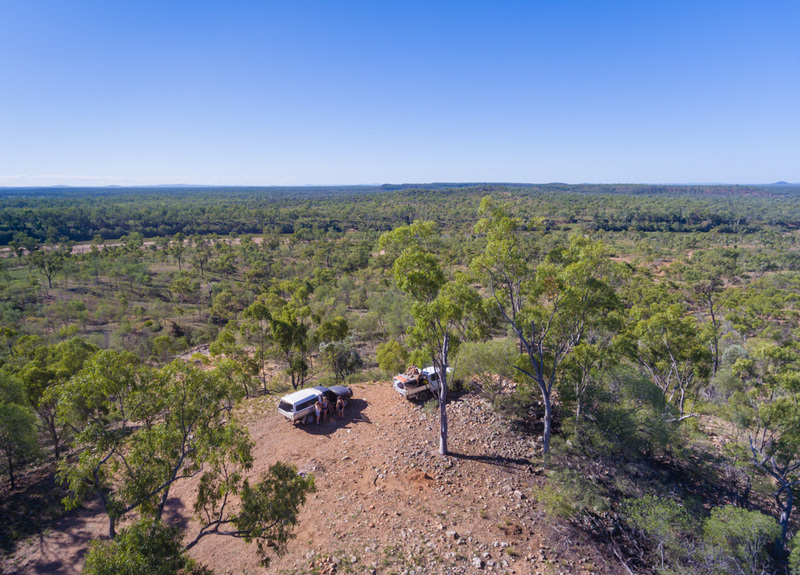 Flat Rock camping reserve is about 20 km south of Charters Towers and 15 km east of the Venus Gold Battery. It's an excellent fishing and swimming spot. The Burdekin Dam is stocked annually with barramundi.